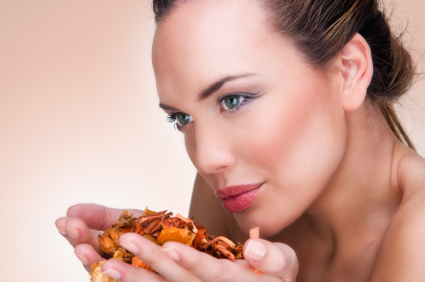 The human sense of smell is widely accredited as the most emotionally powerful of the senses. This is because the olfactory bulb is connected with the amygdala, the part of the limbic system that processes memory and emotion. Our brains are essentially networked so that specific smells can elicit powerful memories and trigger very real, emotional responses. For this reason, certain scents can be used to calm or elevate one’s mood, and aromatherapy - the strategic therapeutic use of scent – has been proven to be effective in treating a wide array of emotional issues. Aromatherapy essential oils can be used to treat everything from day-to-day stress to more serious conditions including anxiety and depression. People with cancer or other chronic conditions have also been reported to benefit from regular aromatherapy sessions for an improved quality of life. The most popular way to administer aromatherapy is by using organic essential oils, which are both effective and convenient. When the essential oil vapors are inhaled, it stimulates the smell receptors which then send messages to both the limbic and nervous systems. The brain chemistry essentially changes, and chemicals are released that often make people feel calmer, safer, and more relaxed. The exact reaction depends on the type of aromatherapy essential oil (link) used, so it is important to purchase the right essential oil for your specific needs. Essential oil aromatherapy can be administered during massage and meditation or added to bath salts, lotions, and carrier oils for more casual use in the home. In fact, incorporating essential oils in products at home can help you mimic and intensify the relaxing experience achieved in more formalized therapeutic settings. You can promote wellness in mind, body, and spirit on a daily basis. 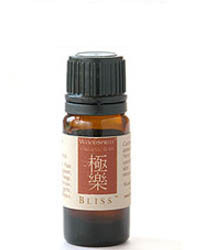 An organic essential oil contains aroma compounds from plants such as a clove or lavender. Oils are considered essential when it carries a distinctive scent from the plant that it was derived. These oils are formed through steam distillation and often used in perfumes, soaps, and cosmetics. 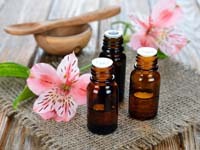 What are the Different Grades of Essential Oils? There are three commercial grades of essential oils: grade A, grade B and grade C.
Grade A essential oils are considered to be the highest quality – the best essential oils available. These premium oils are typically made from organically grown plants and are steam distilled resulting in pure essential oils that are of therapeutic quality. Grade B essential oils are deemed to be food grade, meaning that they are not “pure” and may contain synthetics, pesticides, fertilizers, or carrier oils. Grade B essential oils are of a lower quality than their Grade A counterparts and therefore they are not recommended for use in aromatherapy. Grade C oils are perfume grade, which means that they may contain the same type of adulterating chemicals as food grade oils as well as solvents. Like Grade B oils, these should not be used for aromatherapy. If your ultimate goal is effective aromatherapy, it is important to purchase Grade A essential oils. These oils will never contain any synthetic or petroleum ingredients, so you can be certain that you are using the highest quality oil that will benefit your health and mental well-being. The OM Shoppe specializes in Grade A therapeutic essential oils. Browse our full selection of pure single note essential oils, as well as our high quality, organic essential oil blends. And, as always, we offer Free Shipping on orders over $49.99 within the contiguous United States.